Join Stephanie for a fun day of soap making! 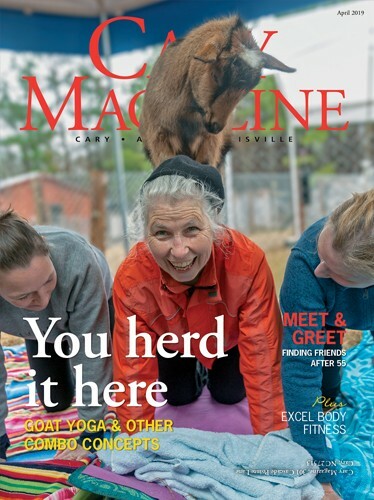 Learn to make your own handcrafted goat milk soap. No prior experience is required. She will provide all the equipment and materials to make a batch of cold process goat milk soap. 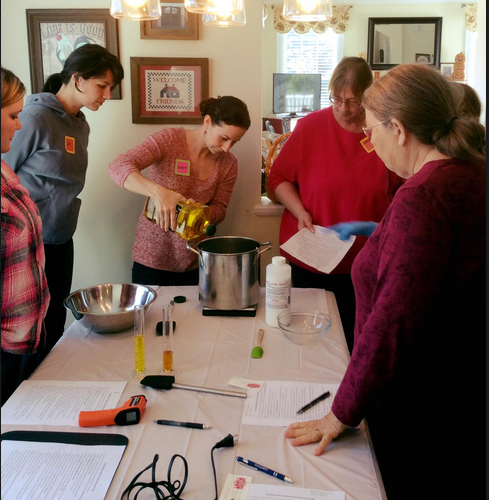 The first half of the class we will talk about different kinds of soap making, equipment needed, different kinds of oils that can be used, and some safety precautions. The second half of the class you make the soap! You will be able to take home ~1lb. of soap that you make during the class. After the class you will have the knowledge you need to make your own soap at home. A wonderful and fun experience that smells great too! I have been making soap for a decade now for myself and my family. I started making my own soap while I was a oncology researcher. I came across an article “Seven Carcinogens Commonly Found in Beauty Care Products” in an oncology journal. I was dismayed to find out that the all natural and organic products I was using were full of carcinogens! I decided to start making my own soap that I knew would be all natural and healthy for my skin. A month after I started using my own soap, my eczema that I had since I was a child went away. I was amazed and hooked! I would love to teach you how to make your own soaps at home. You can make a healthy and affordable product for yourself and your loved ones.